An MP has apologised for being late to a Commons debate, telling the Speaker: "I'm on my period." 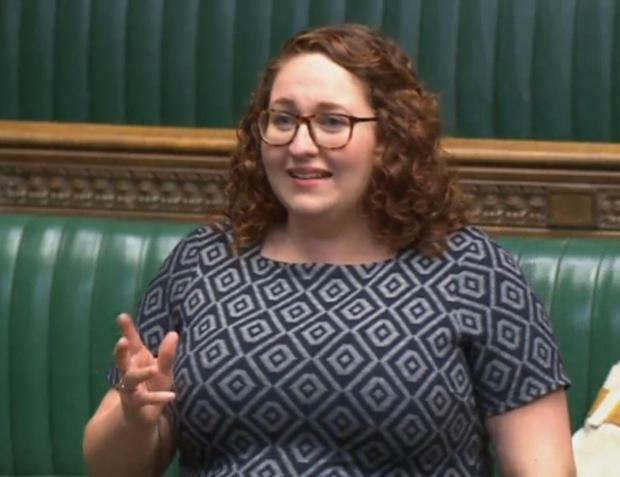 Labour's Danielle Rowley (Midlothian) called for action on the cost of sanitary products, as she said they had cost her £25 so far this week. During Women and Equalities questions, she told MPs: "I would like to raise with you today and to the House, and perhaps you'll excuse me for my lateness, that today I'm on my period - and it's cost me this week already £25. "We know the average cost of a period in the UK over a year is £500 - many women can't afford this. "What is the minister doing to address period poverty?" Women and Equalities Minister Victoria Atkins said the Government had invested £1.5 million in the Brook Young People project, Let's Talk Periods. "And the Government is committed to removing the VAT rate on sanitary products when we leave the EU which will help with the costs of sanitary products." Several MPs raised concerns about period poverty, with shadow women and equalities minister Carolyn Harris accusing the Government of failing to provide support. She said: "Why is the UK Government failing to provide support to tackle this growing problem and leaving it to charities and individual groups like Beauty Bank, a cosmetics equivalent of food banks, organised by Jo Jones and Sali Hughes, to fill the gap?" Ms Atkins said the UK was "watching with interest" the Scottish Government's commitment to deliver access to free sanitary products in schools and other educational institutions. Later in the exchanges, Labour's Liz McInnes (Heywood and Middleton) called for menopause policies to become statutory for employers in the same way as maternity policies. Ms Atkins replied: "With more women over the age of 50 remaining in work, more women will experience the symptoms of menopause whilst in work, and so it's in employers' interests to ensure that they have policies that adapt."